We're a small family business on the North Shore in Auckland. We've been in business since 2002 and have processed thousands of company applications for customers all over New Zealand. We recently won a Westpac business award for our technology and we're proud to be delivering New Zealand slickest company registration service. We regularly get glowing feedback from customers who have been amazed by the simplicity and speed of our service (read some testimonials). 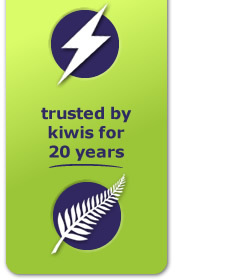 This website is owned by Register a Company NZ Limited, a New Zealand registered company (company number 1953567).